Sava River is an important waterway corridor of Europe. In recent years in this field have developed many projects and agreements that are planning to make it navigable throughout its course, amounting to 947 km. River Sava is a right tributary of the Danube River, it flows from Slovenia through Croatia, Bosnia and Herzegovina and Serbia, where it empties into the larger river. Sava river is formed by two tributaries - the Sava valley, which is left, and Sava Bohinka - right. These two flows are collected between cities Jesenice and Radovljica in Slovenia. Sava is the 16th longest river on the continent and the largest that is not flowing into the sea. As a tributary of the Danube, Sava is part of the drainage basin of the Black Sea, becoming its longest and deepest right tributary. Left main tributaries of the Sava River are Radovna, Sora, Ljubljanica in Ljubljana, Krka, Una (near the Croatian-Bosnian border), the river Bosna, Drina and Jerez in Serbia and others. Among the right tributaries of the Sava are Tržiška Bistrica in Slovenia, Krapina in Croatia, Bosut in Serbia and many others. Connecting the Sava River are three European capitals - Ljubljana in Slovenia, Zagreb in Croatia, and Belgrade in Serbia. Although Ljubljana is built on Ljubljanica, which is a tributary of the Sava, the expansion of the city causes parts of the city to reach Sava today. It is navigable for 593 km, from the junction with the River to the mouth of the River Kupa of Sisak in central Croatia. Few ships can still sail upstream to Zagreb, but for several years are being implemented projects to turn all of Sava into a waterway. The conversion of a fully navigable Sava River is important for the European system of inland navigation. Projects are in place to promote regional cooperation, economic development and environmental protection in its pool. The four countries that Sava passes through believe that its full buoyancy will be of benefit to them. The goal is to make Sava navigable throughout the year, from Sisak in Croatia to Belgrade in Serbia, not only 250 days a year. This project is rather stubborn as funds invested in it are 20 million last year alone. In 2010 in Sarajevo was signed an agreement to build a bridge over the Sava River near the village Svila as part of Corridor 5. The whole project should be completed by the end of 2012, Bosnia and Croatia will divide the cost of building the bridge, estimated at 25 to 30 million. 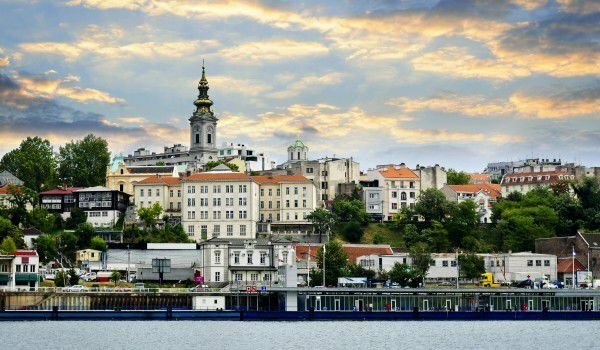 In Belgrade over the Sava River are built a total of 4 bridges that connect the old with the new part of town.